If you're looking for cold drinks, tasty food and an unparalleled viewing experience, check out these sports bars that take it to the next level. You may have heard that size doesn't matter, but it's hard to resist the 270" projector at Your Mother's House that makes it almost impossible to miss even a moment of the game. 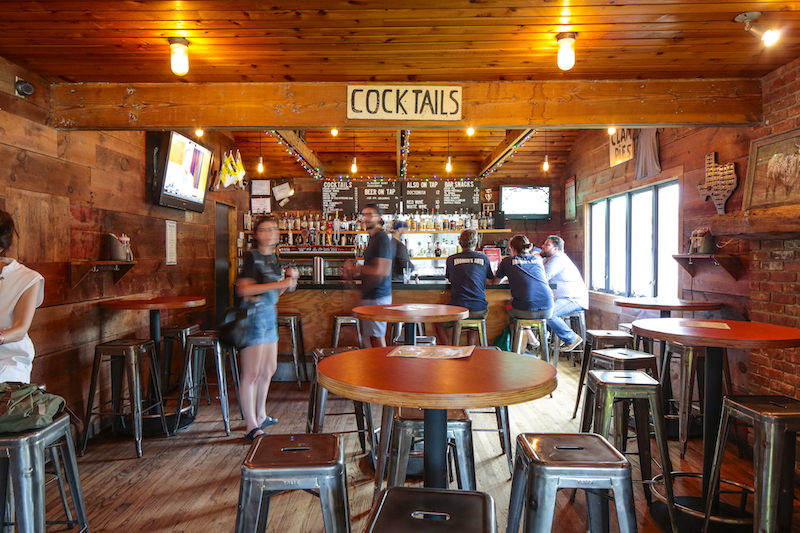 If that's not enough, the five 100" projectors, forty 50" TVs, and menu of delicious American classics make this sports bar an obvious pick for our list. Is there such a thing as too many TVs? Not at Changing Times. Enjoy their specialty Loaded Bison Burger along with drinks from their expansive craft beer selection while watching the games on fifty- that's right, fifty - HDTVs placed throughout the restaurant. Add that to their food and drink specials served daily, and it's no wonder Changing Times has quickly become a fan favorite. Stylish and modern, The Rust & Gold is not your average sports bar. In addition to their excellent American cuisine, this newly established hotspot also boasts eight 65" flat screen TVs. Don't forget about their game room, which features foosball, giant jenga, and a retro video game station. Townline BBQ doesn't just serve delicious Texan barbecue and a wide array of drinks; they also have the ultimate setup for any sports fan. Treat yourself to their classic Townline burger, extravagant desserts and ice cold drinks while watching the games on any of the six TVs located throughout this East End favorite. If only there were an Olympics for restaurants, The Springs Tavern would be taking gold. In addition to serving some of East Hampton's finest comfort food, this cozy and intimate New American restaurant also boasts eight HDTVs to guarantee the perfect viewing experience.